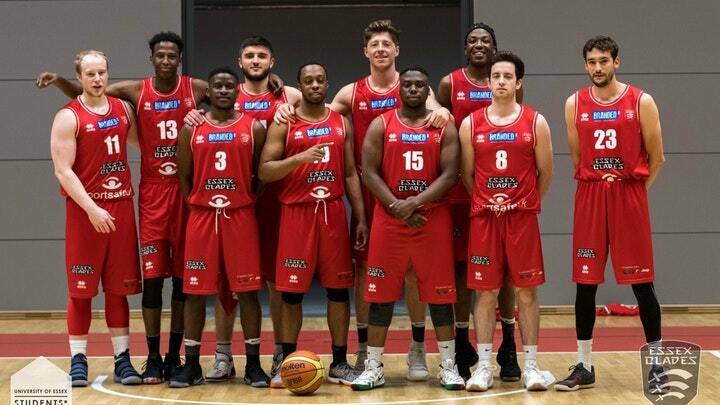 Essex Blades men's basketball club have been invited by the University of Macau to compete in the Asian Universities Basketball Championship Tournament in June 2018. This trip will be a fantastic opportunity for the team to travel to a new destination and culture, experience an intense training schedule and competitive tournament as well as be exposed to future playing opportunities for professional teams. Essex Blades men's basketball team are the 2017 BUCs Trophy Champions. We compete in both the BUCs Premier South and Basketball England National League Division 3. We were awarded Colchester Team of the Year 2017. We feel very lucky to be invited to participate in the Asian Universities Basketball Tournament. As the only team from England invited to participate in the tournament, we see this as a once in a life time opportunity to represent both Essex University and British basketball in China. We are excited to train, compete and experience a new culture. Any additional money raised will be used towards the cost of medical luggage. We have some fantastic rewards to thank everyone who donates to our fantastic cause, check them out! You don't need to give money to help us succeed! Please share this project with anyone you think would support us – on Twitter, Facebook, LinkedIn, by email, telephone, in a chat over the fence or on your blog. n fact, share it with everyone you know as we think it's a great idea, and the more people who know about it, the more likely we are to make this work out brilliantly And we know we said you don't need to give money to help us, but we'd love it if you did! Please sponsor us and help make this happen. We will thank you by tweet or facebook. Personalised video from an Essex Blades team member thanking you for your donation. 1 hour training session with members of the Essex Blades team. Signed photo, signed ball, 1 hour training session, Essex Blades basketball t-shirt.